Kickoff: Saturday, Oct. 13 - 7 p.m.
HARRISBURG, Pa. -- Penn FC (9-15-9, 36 pts) plays its final match of the season against Toronto FC II (4-24-5, 17 pts) Saturday, Oct. 13. As the Blue and White bid farewell to the 2018 USL season, the team will also bid farewell to one of its team leaders Tiago Calvano. The Brazilian defender will play the final match of his 18 year professional career on Saturday. Calvano has been a fan favorite in Harrisburg since he first donned a Harrisburg City Islanders kit at the beginning of the 2017 season. “It will be a very special game for me and my family,” Calvano said in regards to playing his final match.“I’m happy with my career and that I’ve been able to play for 18 years for many great teams and alongside many great players. Penn FC will look to send off Calvano with a win against a struggling but scrappy Toronto side. The Blue and White won the previous two 2018 matchups against the MLS affiliate including a 1-0 win in Toronto and a 3-2 walk-off win at FNB Field. Despite clinching last place in the Eastern Conference, Toronto is a capable team with impressive results in the closing weeks of the regular season. The Canadian side earned a 2-1 win at third place Charleston Battery before earning a 2-2 draw at playoff hopeful Nashville SC. The Penn FC defense will look to limit Toronto’s Jordan Hamilton who scored a goal in each of those results. Along with a fitting finale for Calvano, Penn FC and Voss are looking for a win to finish on a high note after a run of difficult form in recent weeks. “The importance is we want to show what we are about, show the right character of the team and finish strong,” Voss said. “Everybody wants to showcase themselves so we really want to finish this season on a high note and with a good image of ourselves. The match will mark the final matchup between the two sides until 2020 when they will face play again as USL League One rivals. Toronto FC II will be one of the founding members of the new USL division during the 2019 season before Penn FC joins the league a year later. Kickoff is scheduled for 7 p.m. at FNB Field with gates opening at 5:30 p.m. 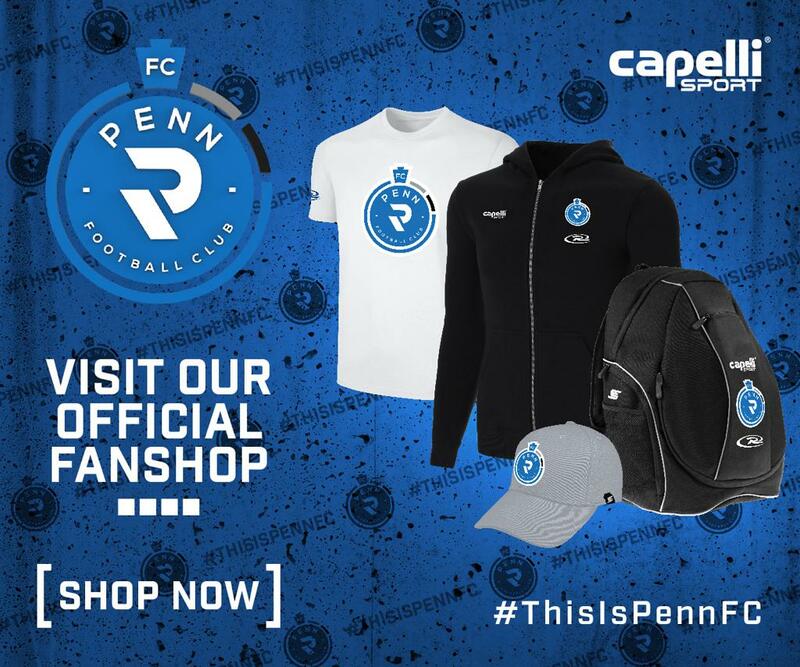 Fans wearing Penn FC or Harrisburg City Islanders gear will receive free admission while all other attendees will be able to enter the match at a discounted cost of $5. Pre and post-match events include a free clinic and pregame party on the field and deck at Sky Sports Complex. The clinic starts at 5:30 p.m. and allows young soccer fans to run drills with Penn FC players, take pictures and get autographs. While the kids are practicing their passing and dribbling skills, parents can enjoy snacks and beverages on the deck. Penn FC will host a fireworks display roughly 15 minutes after the end of the match to finish the 2018 season with a bang.